"Frankly, I find it outrageous that the president is running for re-election on the grounds that he's done such great things about terrorism. He ignored it. He ignored terrorism for months, when maybe we could have done something to stop 9/11. Maybe. We'll never know. . . I think the way he has responded to al-Qaeda, both before 9/11 by doing nothing, and by what he's done after 9/11 has made us less safe, absolutely. I think he's done a terrible job on the war against terrorism." White House counterterrorism chief Richard Clarke Clarke worked on conterterrorism under Reagan, Bush I, Clinton, and Bush II In Bob Woodward's "Bush at War," the president himself acknowledged that Osama bin Laden had not been a central focus in the eight months before the attacks. "I was not on point," Mr. Bush was quoted in the book as saying. "I have no hesitancy about going after him. But I didn't feel that sense of urgency, and my blood was not nearly as boiling." *WHITE HOUSE, 4/01: FOCUS ON BIN LADEN "A MISTAKE"* A previously forgotten report from April 2001 (four months before 9/11) shows that the Bush Administration officially declared it "a mistake" to focus "so much energy on Osama bin Laden." The report directly contradicts the White House's continued assertion that fighting terrorism was its "top priority" before the 9/11 attacks (1). Specifically, on April 30, 2001, CNN reported that the Bush Administration's release of the government's annual terrorism report contained a serious change: "there was no extensive mention of alleged terrorist mastermind Osama bin Laden" as there had been in previous years. When asked why the Administration had reduced the focus, "a senior Bush State Department official told CNN the U.S. government made a mistake in focusing so much energy on bin Laden." (2). The move to downgrade the fight against Al Qaeda before 9/11 was not the only instance where the Administration ignored repeated warnings that an Al Qaeda attack was imminent (3). Specifically, the Associated Press reported in 2002 that "President Bush's national security leadership met formally nearly 100 times in the months prior to the Sept. 11 attacks yet terrorism was the topic during only two of those sessions" (4). Meanwhile, Newsweek has reported that internal government documents show that the Bush Administration moved to "de-emphasize" counterterrorism prior to 9/11 (5). When "FBI officials sought to add hundreds more counterintelligence agents" to deal with the problem, "they got shot down" by the White House. Sources: 1. Press Briefing by Scott McClellan, 03/22/2004, http://daily.misleader.org/ctt.asp?u=1211298&l=24793. 2. CNN, 04/30/2001. 3. 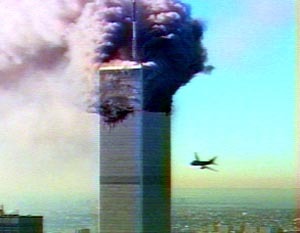 Bush Was Warned of Hijackings Before 9/11; Lawmakers Want Public Inquiry, ABC News, 05/16/2002, http://daily.misleader.org/ctt.asp?u=1211298&l=24794. 4. Top security advisers met just twice on terrorism before Sept. 11 attacks", Detroit News, 07/01/2002, http://daily.misleader.org/ctt.asp?u=1211298&l=24795. 5. Freedom of Information Center, 05/27/2002, http://daily.misleader.org/ctt.asp?u=1211298&l=24796. George W. Bush was just comeing back to work after a 30 day vacation. 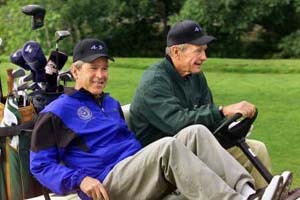 By SCOTT LINDLAW, Associated Press Writer CRAWFORD, Texas - President Bush was told more than a month before the Sept. 11 attacks that al-Qaida had reached America's shores, had a support system in place for its operatives and that the FBI had detected suspicious activity that might involve a hijacking plot. The Aug. 6, 2001 PDB referred to evidence of buildings in New York possibly being cased by terrorists. The document also said the CIA and FBI were investigating a call to the U.S. embassy in the United Arab Emirates in May 2001 "saying that a group of (Osama) bin Laden supporters was in the U.S. planning attacks with explosives." Senior administration officials said Bush saw more than 40 mentions of al-Qaida in his daily intelligence updates during the first eight months of his presidency. The CIA prepared the document "in response to questions asked by the president about the possibility of attacks by al-Qaida inside the U.S," one said. The White House now says that this was 'Historic' information only and there was not specific threat but CBS had already reported on July 26th 2001 that Ashcroft was traveling exclusively by leased jet aircraft instead of commercial airlines. The Justice Department cited what it called a "threat assessment" by the FBI, and said Ashcroft has been advised to travel only by private jet for the remainder of his term. Click here to read CBS Report! So like AWOL George W. Bush in Vietnam, Ashcroft covered his own tail and left thousands to die without a word to the American flying public. To make America 'Safe' he passed the Patriot Act. This act gives the Government the right to pick up any American and hold him without charges. Yes that is right Mr. and Mrs. America... You could walk out your front door tomorrow be picked up. Taken to an undisclosed location and held for years and years and not have access to a lawyer or your family informed of where you are. I am old enough to remember that this is why we fought communism. Thank you George.. Osama and you have undone what 228 years of American blood tried to protect. FREEDOM! Also now the government can do 'Sneak and Peak'. What is that? Well, without a search warrent, the government can now wait until you leave your home and while you are out, enter and search your personal effects. If this was not enough...They can force your library to provide what you read. They can infiltrate your church. Without a Judge signing a warrent they can go though your bank records, medical records, and wiretap your phone. They can also inspect your bookstore purchases, and Internet use and monitor your political activities. Thanks to George, they may be watching you RIGHT NOW! Need I say more? Good job George. Spying on Americans does not help win the war on terrorism. When George found out that he could NOT find Osama and tired of Spying on Americians... He started to lie. He moved the blame from Osama to IRAQ. of Iraq within days of coming to office. uranium for a nuclear weapon." weapons despite international sanctions, U.N.
demands, and isolation from the civilized world." 500 tons of sarin, mustard and VX nerve agent." dictator tells us he does not have." most lethal weapons ever devised." because he had a weapons program." destruction. ... He's a threat and he's a danger." needed to enrich uranium for a nuclear weapon. be able to build a nuclear weapon within a year. President Bush Sept. 14, 2002, radio address. why 3000 Americans died on 9-11.
cut that request to $531 million.